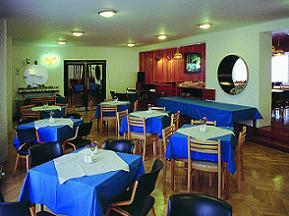 An accommodation in a pleasant area of an attractive holiday resort. Convenient conditions for hiking, biking and skiing. Bike rental right in the hotel. 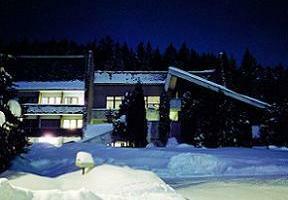 Skiers can take advantage of the ski lift in close proximity from the hotel (50 m), with a possibility of night skiing, easy accessibility of ski resorts (Malá Morávka – Karlov, Ovčárna) and cross-country skiing routes. The guests are provided with a restaurant, barroom, sweat room, fitness centre, outdoor swimming pool, miniature golf, and the children entertainment corner. 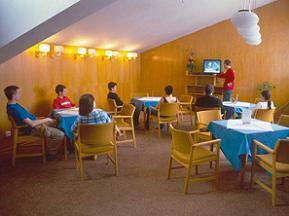 Our hotel also has a conference room with seating capacity of up to 100 seats when set in theater-order. 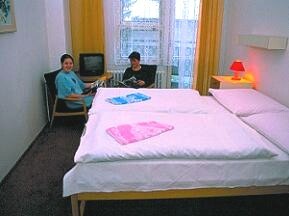 Sanitary facilities: The rooms are equipped with with a private or two-room-shared en-suite bathroom. 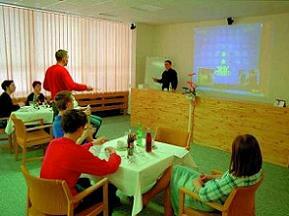 TV/SAT: TV in each room, SAT in the television room. 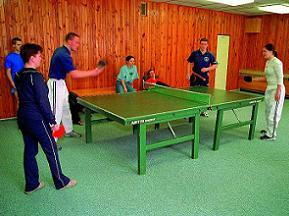 Sport activity possibilities: Playground, miniature golf, outdoor swimming pool, skittles, table tennis, billiard. 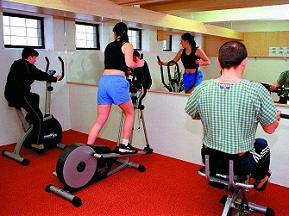 Fitness centre: YES, private hotel indoor fitness centre. Swimming: YES, outdoor swimming pool. Sweat room: YES, private hotel indoor sweat room. Fireplace: YES, fireplace at the hotel grounds. Ski rental: YES, the possibility of renting a ski. Domestic animals: YES, on inquiry. Car park: Outdoor car park at the hotel grounds. Indoor car park: Indoor car park rental possibility. 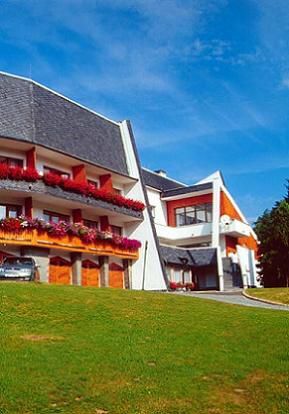 Bed and breakfast: From 330,- to 970,- CZK according to the season period and a type of an accommodation. For more details see the price list on the hotel website. 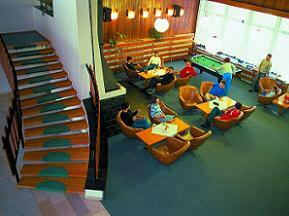 Accommodation with a half board: from 330,- to 970,- CZK according to the season period and a type of an accommodation. For more details see price list on the hotel website. take the road I/46 in direction Šternberk, in Šternberk keep the road II/444 to the village Mladějovice, when there turn right to the connecting road in direction Paseka and Dlouhá Loučka. In Dlouhá Loučka turn right to the road II/449 and keep the road to Rýmařov. Drive through Rýmařov and at the crossroads crossed by the road I/11 turn right in the direction Bruntál, after apx. 3 km before entering the village Malé Šťáhle turn left at the crossroads to the road II/445 in direction Malá Morávka. 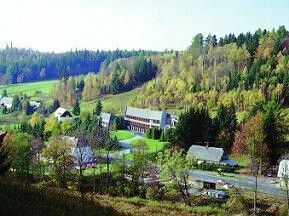 Our hotel is located in the upper part of Malá Morávka on the left hand side close to the main road and surely You won’t miss it. Take the road I/11 in direction Šumperk – Hradec Králové, after a descending road in the village Malé Šťáhle at the crossroads turn right to the road II/445 and follow the similar way as from Brno, Olomouc. Take the road I/11 in direction Bruntál - Ostrava, after a descending road in the village Malé Šťáhle at the crossroads turn left to the road II/445 and follow the similar way as from Brno, Olomouc. Take the road I/77 in direction Šumperk, in the village Bělá pod Pradědem, Domašov turn right at the main crossroads to the road II/450 in direction Bruntál – Ostrava. After passing Videlský saddle in the village Vidly turn right in direction Karlova Studánka. In winter the road is not kept up, so we advise turning left in the village Vidly to the road II/451 to Vrbno pod Pradědem, when there, keep right at the crossroads to the road II/445 to Karlova Studánka. In both cases, take the road II/445 to Malá Morávka. Our hotel is located in the upper part of the village on the right hand side close to the main road. Zlín – Přerov – Olomouc – Rýmařov – Jeseník and a local lines Bruntál – Malá Morávka – Karlova Studánka and Rýmařov – Malá Morávka – Malá Morávka, Karlov. The train station "Malá Morávka" and the train line Bruntál – Světlá Hora – Malá Morávka. The train connections frequency is rather seasonal and on weekends.